If you like retellings, Vivi Barnes‘ OLIVIA TWISTED is for you! It’s Oliver Twist with computer hackers. With alternating points of view, and tackling themes of abandonment, abuse, and hope–and of love and loss–Vivi delivers a novel that is emotionally true. What I loved about OLIVIA TWISTED most were the characters. The novel is told in alternating POVs from Olivia and Z’s perspective. When done well, I really enjoy dual POVs because they add depth to a work. Vivi did it well! The chapters headings contain the characters’ names, so we know immediately whose POV we’re in, but honestly, I didn’t need them. Olivia and Z’s voices were distinct enough that I just knew. This is so hard to pull off (I know–I’ve tried! lol) and Vivi did a fabulous job with channeling both characters. I loved Olivia. She was strong and stubborn and a quick-thinker–and the computer hacking part was so cool! I admit I know zilch about it, but the way Vivi works it into the plot, through the characters, was seamless. Z was mysterious and though he had this bad-boy exterior, his complexity was awesome. Sam was so much fun, too! I loved her. There was a twist, which I sort of saw coming, but I wasn’t 100% correct. The pacing was perfect–I read this in practically one sitting, and Vivi had the perfect combination of tension and romance and action that kept me entertained, emotionally engaged, and reading because I NEEDED TO KNOW WHAT HAPPENED. I was hooked. Vivi Barnes is one cool kid. She’s hilarious and sweet and so much fun to be around–just ask anyone who knows her or who’s met her at an SCBWI Florida Conference. (Every year, I look forward to seeing what elaborate costume she comes up with for the next conference ball!) You can follow her on Twitter or check out her website for updates. 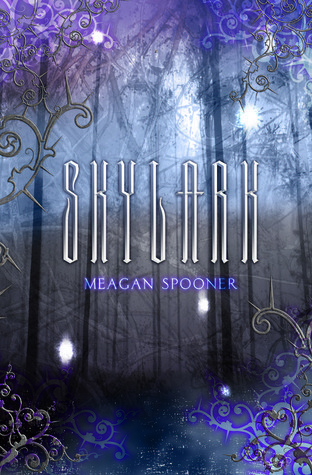 Her new book, PAPER OR PLASTIC, comes out winter 2015 from Entangled Teen! I can’t wait to read it! I may have been late to OLIVIA TWISTED (it debuted Nov 5, 2013 and I didn’t get to read it until May 2014), but I’m so happy I finally did! Happy Book Birthday to Laura M. Kolar! Last summer, I had an amazing opportunity to take an online course in LitReactor with literary agent Mandy Hubbard. It was inspiring and informational with awesome critiques. But the best part was getting to meet some fabulous writing friends. In fact, many of us have remained friends and have become critique partners. 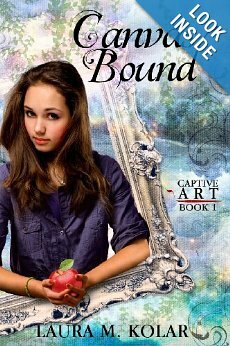 One such friend is Laura M. Kolar, who today celebrates the release of her debut novel, CANVAS BOUND (Book 1 in the Captive Art Series). I had the privilege of reading CANVAS BOUND early on and I’m dying to read the final product. 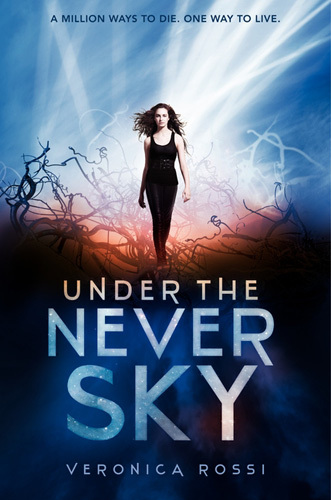 Laura’s book was the first I beta-read, and the first I saw to fruition, which makes me double–no, triple!–excited. But the thing is, it’s a wonderful read. There’s romance. And magic. And mystery. And romance (wait, I already said that!) When I read it, I couldn’t put it down because I HAD to know what happened. I loved Libby and Dean and Brent and the whole cast of characters. And I loved the magic because seriously, how cool is it to have paintings that come to life! 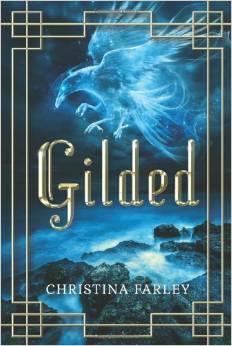 So if you like YA fiction with a touch of magic, go buy it! And then go follow her on Twitter! This is me right now, still hungover on Leigh Bardugo’s Shadow and Bone. To say it’s awesome is an understatement. The characters…wow. And the setting…amazing. And the costumes… sigh. And the writing…lovely. Okay, I’ll stop. I’m not very eloquent right now. 😉 I promise to come back with a review, though, once the semester’s officially over. I’ve been quite MIA here, I know. It’s been a whirlwind of a month, but a great one! From my son’s preschool graduation, to an amazing SCBWI conference, to staring an online YA Class with Mandy Hubbard, to getting accepted into Lynn Hightower’s Novel IV class at UCLA Extension, to a week in Orlando. Add to that summer classes ending and prepping for the new term that starts Mon (all during vacation), and you have a recipe for craziness. But I’ll come back soon, and I may just elaborate more on some of the above. In the meantime, I’m sharing this pic from our trip. Hubby is getting into photography. He takes the camera everywhere and is always taking pictures of everything, especially nature and architecture (and he’s pretty good!). So for Father’s Day, I signed him up for a Nature Photography class. He was super excited! Anyway, on one of the afternoons after my conference, we took a walk. We were staying at Disney’s Yacht Club and the walk consisted of making the loop through the Boardwalk, where my son begged and begged for a disposable camera. He also loves taking pictures! We got him one and he spent the rest of the walk stopping with hubby to take pictures. 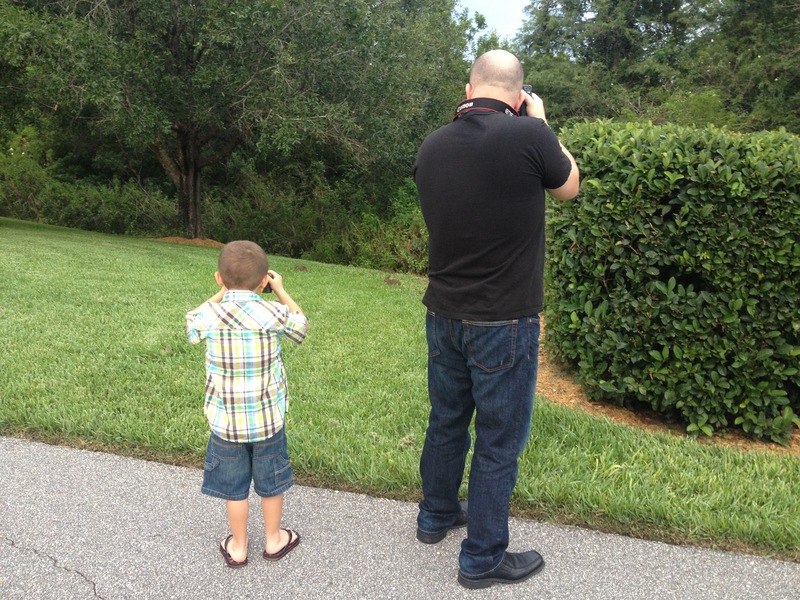 In this one, two bunnies were in the grass and it was such a cute shot of them both, father and son, both with cameras in their hands. Surgery and recovery were really good for one thing: reading. I started with Amanda Hocking’s Trylle trilogy and then, feeling the need for another world and story, I turned to Cassandra Clare’s books in The Mortal Instruments (TMI) and Infernal Devices (ID) series. Ohhhemmmgeeee…. I have found a new obsession! I fell in love with her language, her descriptions of New York and Victorian England (TMI and ID respectively), her characters, and the world of the Shadowhunters. It is magical and hauntingly beautiful. I started with CITY OF BONES, the first in TMI. I read it in a day. Granted, I was recovering, mostly in bed without having (or being able) to do much else, and I stayed up into the wee hours of the morning because I just could not put it down. As soon as I finished, I downloaded the next book, CITY OF ASHES, immediately, and started reading it the next day. So began my obsession. I finished the next three books (CITY OF GLASS, CITY OF FALLEN ANGELS, and CITY OF LOST SOULS) in the week that followed, skimping on sleep because I just had to find out what happened. When I finished the last book, I was temporarily distraught because the sixth and final book, CITY OF HEAVENLY FIRE, is not set to be released until March 2014. That is so long from now. So I went online and devoured website after website, looking for extras and more information about Cassandra Clare’s world. I was pleasantly surprised that her website included a section with wonderful extras, and I hungrily read these. It was there I started reading about the Infernal Devices trilogy, which is a prequel to TMI, and which remains in the Shadowhunter world, only in Victorian England. I bought the first book, CLOCKWORK ANGEL, and just like that, I was again pulled into this amazing world, and hooked. I just finished reading the second book, CLOCKWORK PRINCE, and have found that I am, again, despairing because the final book, CLOCKWORK PRINCESS, will not be available until March of next year. I haven’t been so fully immersed into a world since J. K. Rowling’s Harry Potter series. Don’t get me wrong; I’ve thoroughly enjoyed the books I’ve read. Some of them are okay (Trylle trilogy) while others are very good (The Hunger Games, Divergent series), but none has completely enthralled me like HP and now TMI and ID. Why do I love her books so much? I think it starts with the writing. It is really good. Yes, there are a couple typos I caught in theKindle versions. I didn’t catch these in the printed book of CLOCKWORK ANGEL, so I don’t know if that is a print vs eBook problem. But those typos were minor. Cassandra Clare has a gift of description. She brings the setting and the characters to life. New York City and Victorian England are as much a character as Clary, Jace, Tessa, Will, Jem, et al. My world dissolved and I was an invisible bystander as the action unfolded. She really shows us her world. The dialogue is, also, realistic and believable and in tune with the characters. Her characters are three-dimensional; there’s no ambiguity to them. There is some angst (and sometimes I did get a tad annoyed with some of the characters), but those moments were few in the scheme of things. And they’re teenagers. I’ve read my journals from my teenage years–I annoy myself! in the brief reprise between TMI and ID, I looked up some of these myths, of Lilith and such. Fascinating, I tell you. Like memory begets memory, this series has brought about some exploration into religious myths and the current battle between Catholic and Christian faiths. And of course, there’s the romance. I’m a sucker for romance, and Clare does a good job in writing the relationships with the characters, pulling us into them and making us feel what they’re feeling. Each of the series has its strengths. Between the two, I think I like ID better, perhaps only because of the lure of Victorian England and because two of its characters love literature and books and the series is replete with literary references of the era. I was reminded of other literature of the era and of my British lit courses I took as a grad and of the romanticism associated with the era. Both of these series deserve 5 stars. I (im)patiently await the final books in both, and a new series Cassandra Clare has in the works, also of the same world.